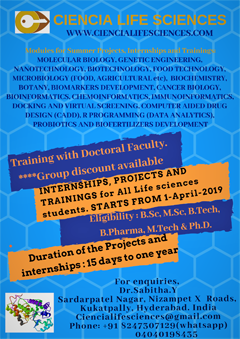 Centre for Cellular and Molecular Biology, Hyderabad, invites applications from candidates who are Indian citizens, to pursue research in modern biology leading to a Ph.D. Degree. 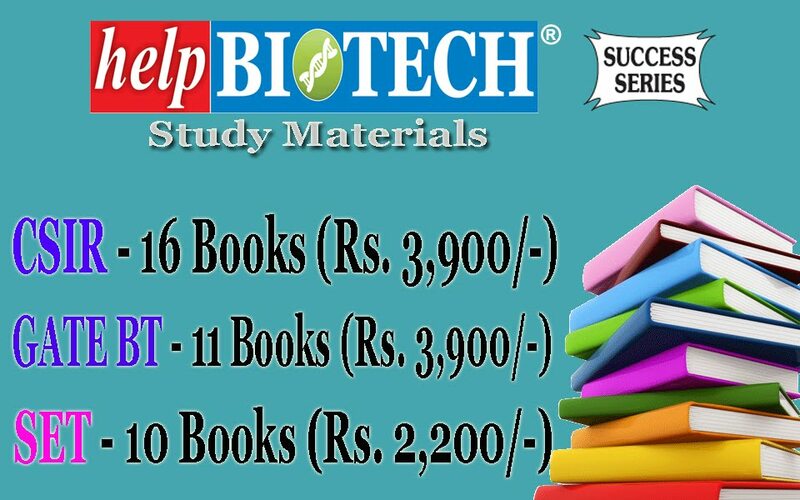 The projects offered for Ph.D. would be in the broad areas of Cell Biology, Molecular Biology, Genetics, Genomics, Developmental Biology, Plant Molecular Biology, Conservation Biology, Ecology, Protein Structure and Function, Biology of Macromolecules, Biology of Infection, Epigenetics, Chromatin Biology and Bioinformatics. 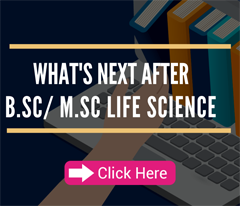 Candidates with a Master’s degree in any branch of science or a Bachelor’s degree in Engineering/Pharmacy/Medicine may submit their applications online by 10-04-2018 through this LINK. Online applications will be screened and the eligible candidates will be called for a computer-based written test at one of their preferred centers among the 19 test centers across the country on 22-04-2018. Candidates qualifying in the written test and having a valid FELLOWSHIP (by 30-04-2018) for pursuing Ph.D. will be shortlisted to appear for interview at the Centre for Cellular and Molecular Biology, Hyderabad on 04-06-2018 (preliminary) and 05-06-2018 (final). 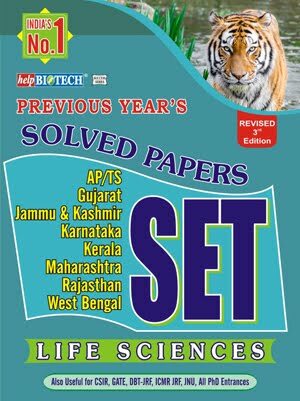 Any National level fellowship (JRF/SRF of CSIR, UGC, DBT, ICMR, etc. ), DST-INSPIRE or any other equivalent fellowship for pursuing Ph.D. 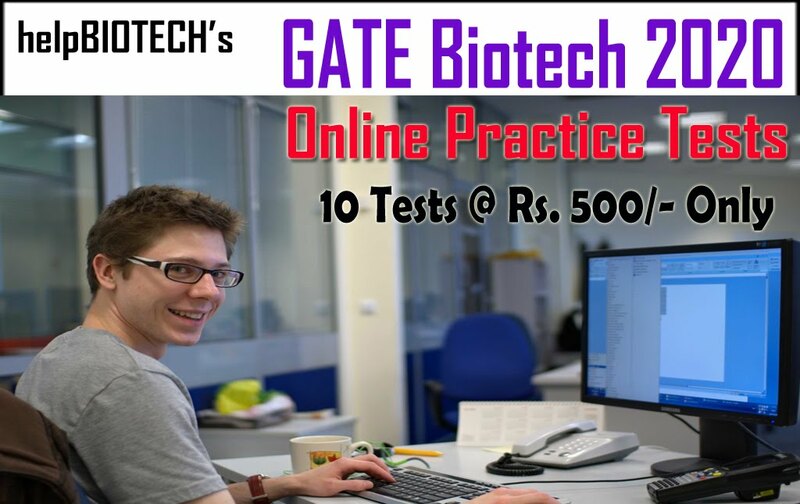 Candidates with a BE/B.Tech degree in Biotechnology or in any engineering discipline must have a GATE score of at least 85.0 percentile. B.Pharm degree candidates must have a GPAT score of at least 85.0 percentile. Candidates qualifying both preliminary and the final interview will be selected for pursuing a Ph.D. at CCMB. If fellowship result is AWAITED, the candidate can UPDATE fellowship status by 30-04-2018. The fellowship MUST be valid till the time of joining (August 2018). 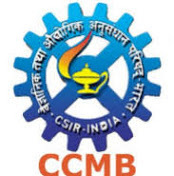 Candidates with lecturer-ship only in CSIR-UGC (NET) examination or the M.Sc/M.Tech/M.Pharm candidates with GATE/GPAT will not be shortlisted for interview. Candidates will have to make their own arrangements for travel, stay, etc. at the examination centre and/or in Hyderabad for interviews. Travelling allowance is not payable by CCMB. Mere fulfillment of the minimum requirements stipulated in the notification would not automatically entitle a person for selection. The decision of CCMB in this regard shall be final. Canvassing in any form and/or bringing in any influence, political or otherwise, will be treated as a disqualification.